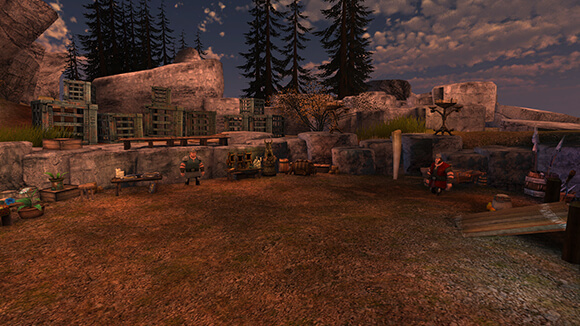 Be prepared to face the toughest, most nefarious criminals on this side of the archipelago! Auction Island is home to all sorts of wrongdoing, especially dragon trading. It is not uncommon to see these poor creatures trapped in cages, waiting to be sold. Young students looking to journey here must put on their toughest Viking face and bring their sharpest battleaxes! 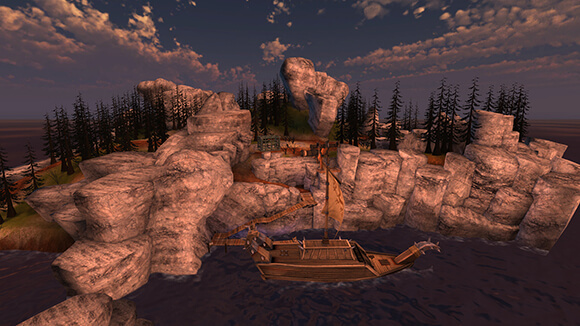 Auction Island is protected by rocky cliffs that surround it from all sides. 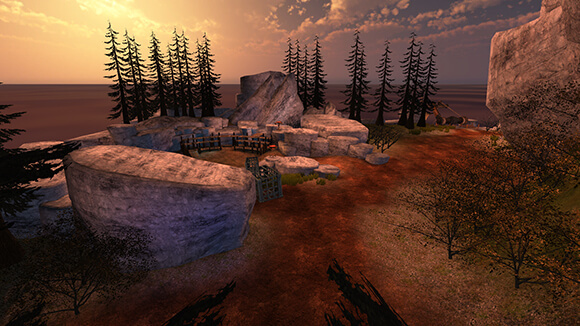 Lush trees and greenery keep the Auction Zone hidden from prying, do-gooder eyes. Here, the dragon traders barter and sell their illicit goods with the hope of making their fortune. If you decide to travel here, you must leave your scaly friend behind! Having a free dragon on Auction Island is foolish, as it would most likely be whisked away the minute you let your guard down. Without the protection of a dragon, you have to take extra precautions (and axes) with you. If you need someone to assist you on your journey, Eret, the former dragon trader and trapper, can show you the ins and outs of the island. He can guide you through the dense landscape, grisly fights, and sneers of hardened criminals. Stick close to him and listen to what he says - one wrong move and you could find yourself in one of those cages! Quests to Auction Island are dangerous, but the School of Dragons and the Riders of Berk would not send you there if they weren’t confident in your abilities as a warrior. You may be asked to travel here with Eret to gather information on the whereabouts of a known enemy of Berk, Harald Forkbeard. To get this knowledge, you and Eret will have to work together in order to convince the dragon traders and shifty storekeepers to divulge what they know. To navigate the criminals, battleaxes, and steel cages, you must be as cunning and vicious as others on this island. As you journey through the untamed brush and come face-to-face with the archipelago’s most notorious criminals, remember that not every Viking has the guts to go to Auction Island without their mighty dragon to protect them from harm! Snarls and gnashing teeth greeted me as I entered the Auction Zone. I was surrounded by enough villains to make even the mightiest Viking’s skin crawl. Poor dragons growled weakly from cages, and a feeble Singetail clawed the bars in a hopeful attempt to escape. My heart wrenched at the terrible sight, but I kept my brows furrowed and my scowl fierce. I couldn’t pretend to have a soft spot for the dragons. Eret, Son of Eret, had advised me to be tough when dealing with these guys – one hint of weakness and I would be as good as day-old yaknog. I made a silent promise to the poor creatures to free them, but first, I needed information on Harald Forkbeard. After I track that fiend down, I will dedicate myself to outsmarting and defeating these villains in combat. I will make sure that each and every one of them pays for the pain they have caused these poor dragons. With enough luck, I could be the Viking strong enough to free Auction Island from the shackles of the dragon trade. Instead of a place for criminals to make money on suffering, it could be a haven for Vikings and their dragons. Until then, I must brave the dangers that lurk on cliffs and prowl between bushes.